Notice: Twister is no longer being actively developed or supported. 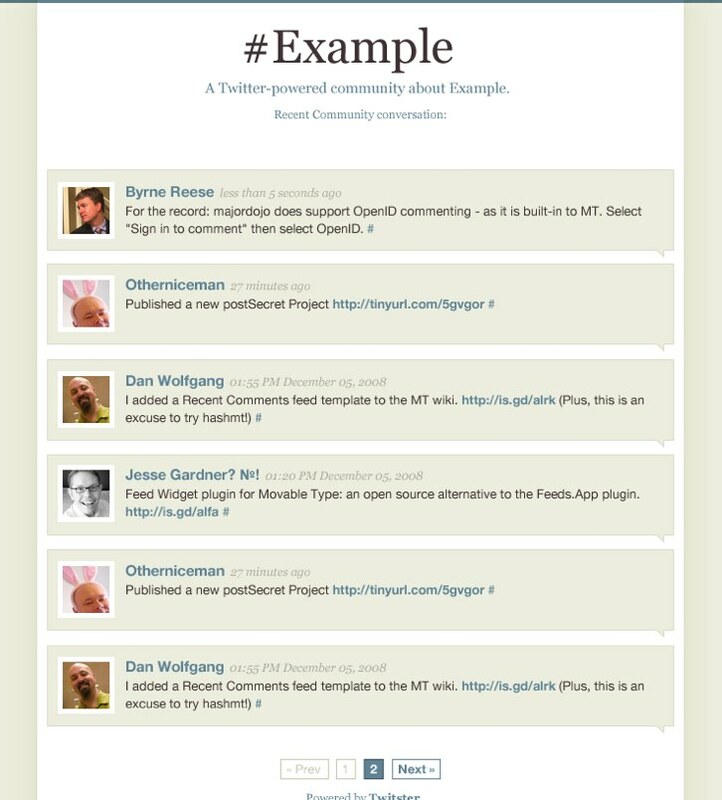 Put simply, Twitster is a PHP application that lets you display tweets on your own web site from everyone you follow in Twitter. What's more, Twitster can filter those tweets by a hash tag (#example) giving you the ability to create a Twitter-based group or community on your own site. 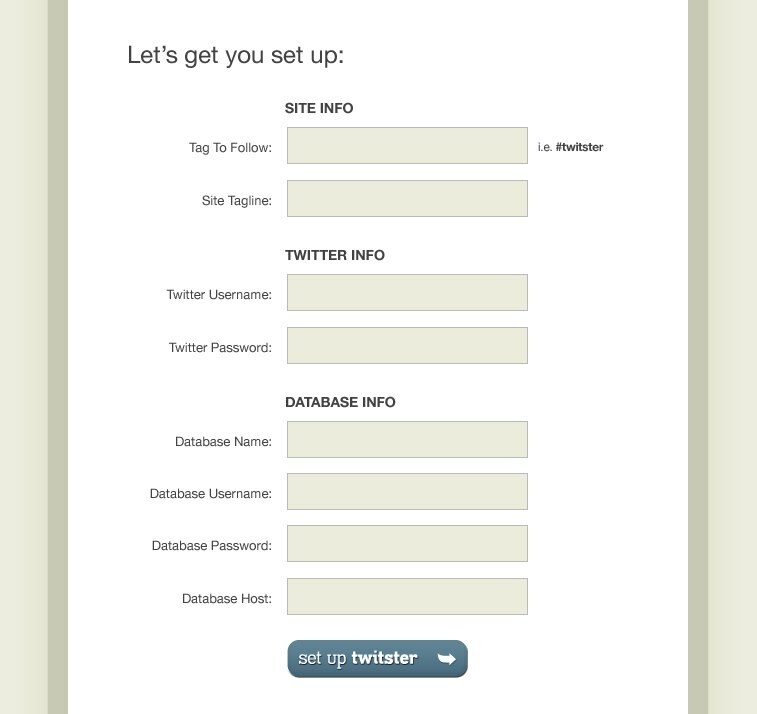 Publish your Twitter community on your own web site. Gather and publish tweets from the people and the topics you care about. Confused? No sweat, we've got a list of frequently asked questions that may help clear things up a bit. Communities/Projects: Maybe you’re collaborating with others on a project and you want to keep people informed. Set up a Twitter account for the project, follow all the contributors and let them tag project related tweets. Conferences: You’re having a conference and you’d like to track what all your attendees are saying about it. Create a Twitter account, follow all of your attendees and give them the hash tag you want to use for conference related tweets. Good For Something Else? We’d love to hear about the inventive ways you’re using twitster! Copyright © 2009 Jesse Gardner and Byrne Reese.